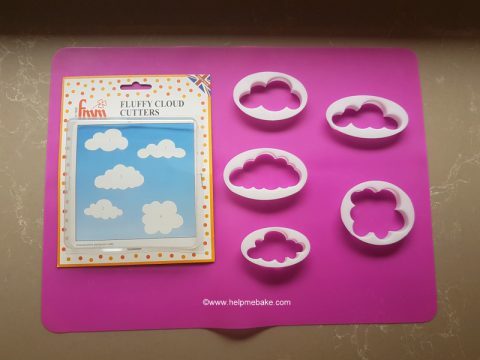 I have seen the FMM Fluffy Cloud Cutters for some time now and figured I would finally indulge in the purchase. 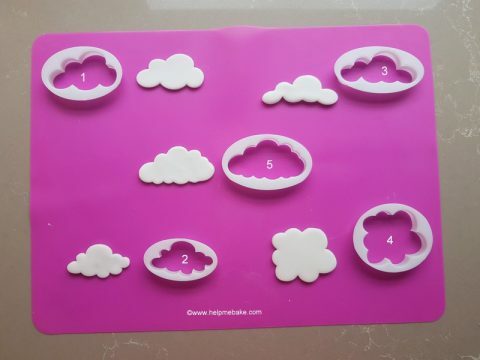 The cutters arrived in a cardboard/see-through box and contained five different shaped fluffy cloud cutters. 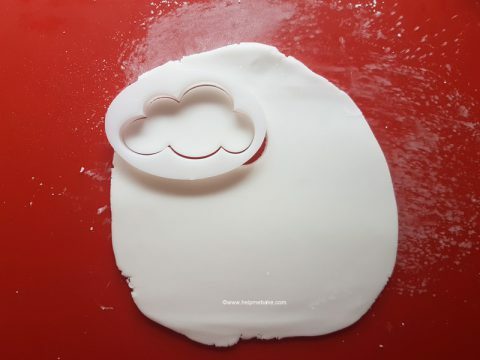 Inside the box, the illustration showed the cloud shapes, relevant cloud numbers and on the back of the packet listed instructions explaining how to use them. 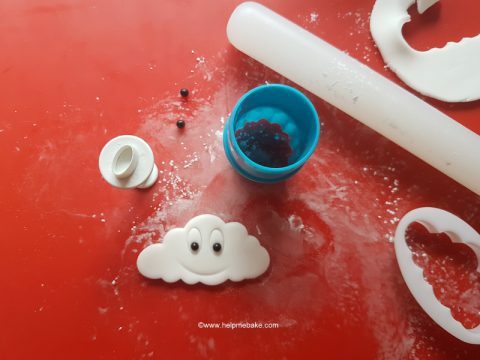 It does suggest that to obtain the best results you should use modelling paste; however, I decided to use regular sugarpaste/icing/fondant to see how they would turn out. 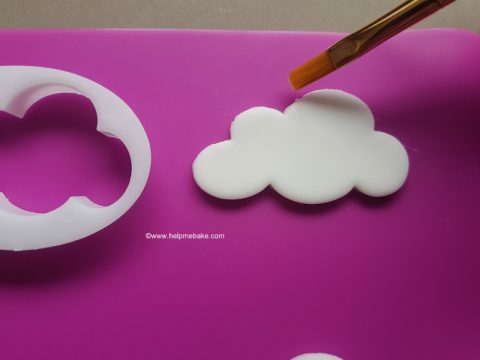 After rolling out the icing, I cut the clouds using each relevant cutter. I found that when I scored (moved back and forth) the cutter against the mat to get a proper cut, the cutter left a small residual edge on the cloud. I continued to cut the clouds, and these are all the shapes as per the illustration. They can be used as trees, shrubs, bushes, plumes of smoke, speech bubbles, muddy puddles and of course clouds. (I’m sure I have also seen somewhere that they have been used for sheep too). Cloud 1 – 6cm x 3.5cm. Cloud 2 – 5.4cm x 3cm. Cloud 3 – 6.8cm x 3cm. Cloud 4 – 5.5cm x 4.8cm. Cloud 5 – 6.8cm x 3.7cm. You can also lightly remove the remaining edges with a soft dry paintbrush to make them a little sharper. To add a little personality, you can create faces on them using different shaped cutters and some pearls/dragees. By placing the pupils at different angles, you will make different facial expressions. 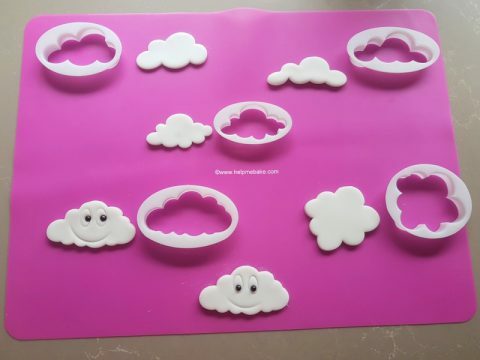 These would be a great addition to a child’s cake as it would bring the cake to life. 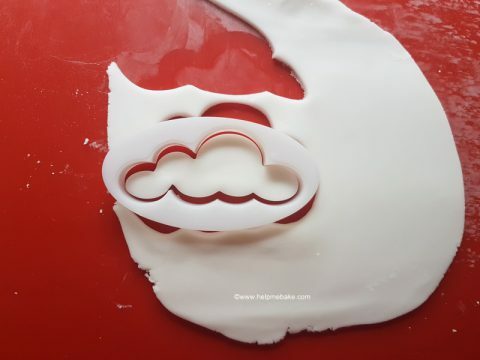 I only needed the cutters to create cloud shapes, and this is what they looked like on my daughter’s cake. 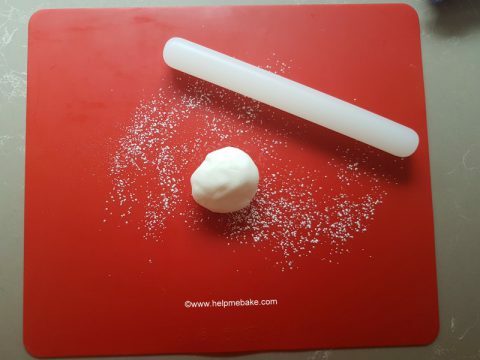 Overall I’m delighted with the purchase and think that the cutters are incredibly versatile and will get used on many occasions. They do look like fun, love the ones with faces on them. That cake of Han's looks fantastic, and the clouds look very realistic. Thanks, Joan, I thought I would put the faces on so you could see how fun they look. The faces really bring them to life which is what kids adore. 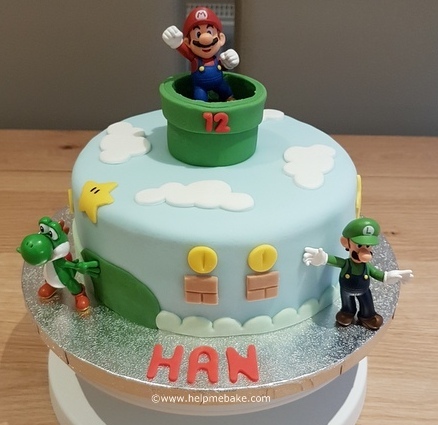 I loved doing the Mario cake which is why I initially purchased them.